Team Decatur Kick-off is July 14th!! 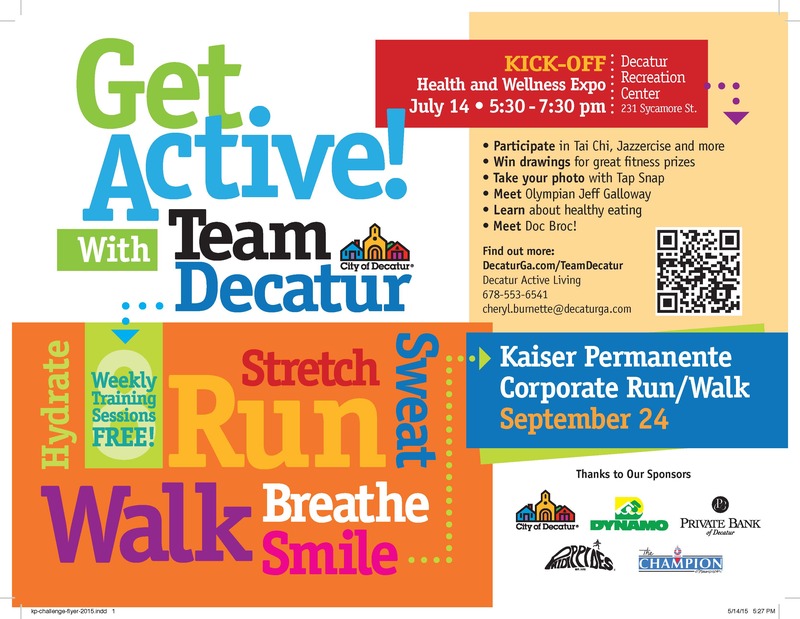 Join Decatur Active Living for the annual Team Decatur Kick-off and Health Expo. You can participate in exercise, have your photo taken with TapSnap, meet Olympian Jeff Galloway and Mayor Jim Baskett, win prizes, and more! NEW! Ride your bike to the event and have it registered by the Decatur Police Department. They will be outside in a tent ready to register your bike. There is no cost. The event is from 5:30 – 67:30 pm at Decatur Recreation Center. For more information on Team Decatur, visit http://www.decaturga.com/teamdecatur.